The first Belgrade Baroque Academy was held in April of 2013. Through the efforts of two Serbian baroque music specialists, contralto Marijana Mijanovic and baritone, harpsichordist and conductor Predrag Gosta, about a dozen young musicians explored the music of J.S. Bach, Purcell, and Monteverdi. After the successful final concert, the artistic directors Gosta and Mijanovic continued their activities at the 2nd Academy, held in conjunction of the Belgrade Early Music Festival in June of 2013. This second project was even more ambitious - the presentation of a fully staged performance of Henry Purcell's operatic masterpiece "Dido and Aeneas". This performance also marked the first ever performance of a baroque opera on period instruments at the Belgrade National Theatre. The great success of this performance encouraged the artists to pursue their efforts in a systematic and permanent manner, with a hope for a permanent establishment of the Belgrade Baroque Academy as an educational institution in Serbia. Contralto Marijana Mijanovic was born in Serbia. After studying the piano at the Belgrade Academy of Music, she studied singing at the Conservatorium Sweelinck, Amsterdam, with Cora Canne Meijer. Marijana Mijanovic is the winner of several international awards, including First Prize at the National Competition for Young Singers in the Netherlands and the Prix Jeunesse at the International Opera Competition of the Concertgebouw Amsterdam. Her international breakthrough came at the Festival d’Aix-en-Provence in 2000 as Penelope in Monteverdi’s Il Ritorno d’Ulisse in Patria under William Christie with his ensemble, Les Arts Florissants. In the ensuing years, Mijanovic gave highly acclaimed guest performances with this production – which is also documented on DVD – in Lausanne, London, New York and at the Vienna Festival. On tour with the Combattimento Consort Amsterdam, Marijana Mijanovic sang Bertarido in Handel’s Rodelinda; in the summer of 2004, she celebrated her successful début at the Glyndebourne Opera Festival in the same role. Mijanovic gave guest performances in the title role of Handel’s Giulio Cesare in Egitto at the Nederlandse Opera and at the Palais Garnier in Paris under Marc Minkowski, and also interpreted this role on an extended tour of Europe with the Musiciens du Louvre. In 2007, she was heard in the same role under the conductorship of René Jacobs at both the Theater an der Wien, Vienna, and the Théâtre de la Monnaie in Brussels. Marijana Mijanovic has also celebrated important successes in Handel roles at Zurich Opera House, where she débuted as Disinganno in Il trionfo del tempo e del disinganno under Marc Minkowski, a production that was also staged at Madrid’s Teatro Real in 2008. This was followed by title roles in Radamisto and Orlando, conducted by William Christie, and Ottone in Agrippina under Marc Minkowski. As a baroque specialist, Marijana Mijanovic has also performed at other opera houses with conductors such as William Christie, Alan Curtis, Paul McCreesh and Marc Minkowski. Marijana Mijanovic’s interpretations are documented on numerous complete recordings, such as Handel’s Giulio Cesare under Marc Minkowski; Vivaldi’s Bajazet under Fabio Biondi; Handel’s Rodelinda under Alan Curtis; Vivaldi’s Tito Manlio under Ottavio Dantone; and Conti’s David under Alan Curtis. Besides her performance in Orlando with William Christie, Marijana Mijanovic can also be seen on DVD as Giuditta in Mozart’s La betulia liberata at the Salzburg Festival, conducted by Christoph Poppen. This production toured Europe under Nikolaus Harnoncourt in 2006. Affetti barocchi, Marijana Mijanovic’s first solo album, featuring Handel arias, was issued by Sony/BMG in 2007. Besides her work in opera, Marijana Mijanovic is frequently heard on the concert stages of cities such as Amsterdam, Milan, Brussels, Munich, Frankfurt, Lisbon, Zurich, Vienna, New York, Los Angeles, London and Paris, working with conductors like James Conlon, Hartmut Haenchen, Philippe Herreweghe, William Christie, John Nelson, Andrea Marcon, Christophe Rousset, and Jean-Christophe Spinosi. In recent years, she has been increasingly involved with teaching, most notably in collaboration with the Serbian-American conductor and harpsichordist Predrag Gosta, with whom she regularly presents workshops and opera performances under the auspices of the Belgrade Baroque Academy and the New Belgrade Opera. 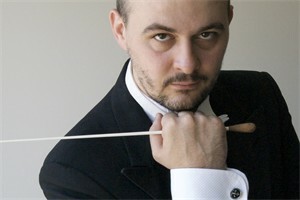 Predrag Gosta is recognized as one of the most interesting and multi-faceted conductors of his generation. He is the artistic director of New Trinity Baroque, a widely-acclaimed and recorded period instrument orchestra; the general manager, artistic director and conductor of the New Belgrade Opera, the Belgrade Baroque Academy and the Belgrade Early Music Festival in Serbia; the principal conductor of the Makris Symphony Orchestra (Belgrade, Serbia); and the music director of the Gwinnett Ballet Theatre (Atlanta, Georgia). He also served as the assistant conductor of the National Philharmonic in Washington DC, and was a faculty member at Oxford College of Emory University in Atlanta. 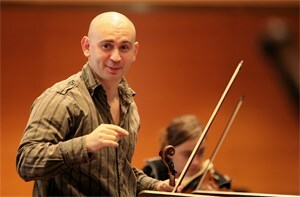 Born in Belgrade, Serbia, he started studying violin at the age of six. After starting his studies at Belgrade Music Academy, he was awarded a full scholarship from the Trinity College of Music in London and the Leverhulme Trust to continue his studies at Trinity, where he received an undergraduate and a postgraduate degree. He also received three Master of Music degrees from Georgia State University in Atlanta, where he was studying under a graduate assistantship and several scholarships, including the Regents Opportunity Scholarship. His further studies in conducting were with Gustav Meier (USA), Jorma Panula (Finland), Colin Metters (UK), Ennio Nicotra (Italy), Alexander Polyanichko, Vladimir Ponkin and Andrei Anikhanov (Russia), Jonathan Brett (England), Dejan Savic (Serbia) and Emmanuel Siffert (Switzerland). Gosta is recognized as a specialist in historically informed performance. He appeared at many concerts and festivals in USA and overseas, including England, Russia, Sweden, Finland, Sweden, Germany, Poland, Switzerland and Mexico. He collaborated with artists and conductors such as soprano Evelyn Tubb and contralto Marijana Mijanovic; baroque violinists Florian Deuter, Ilia Korol, John Holloway, Antoinette Lohmann and Ingrid Matthews; recorder virtuoso Marion Verbruggen; harpsichordists Ottaviano Tenerani and Steven Devine; lutenists Anthony Rooley and Michael Fields, and others. He performed at festivals such as the Piccolo Spoleto, Boston Early Music Festival, Sastamala Gregoriana (Finland), Budva - The Theatre City (Montenegro), Belgrade Early Music Festival (Serbia), Dartington International Summer School (England), etc. He is an accomplished conductor who has conducted internationally renowned ensembles such as the London Symphony Orchestra, the National Philharmonic in Washington, the Sofia Philharmonic, the Russian National Orchestra in Moscow, the St. Petersburg State Capella "Glinka", and more. He appeared in opera houses in Biel and Solothurn (Switzerland), Ruse and in Burgas (Bulgaria), in Lexington (KY), Lüneburg (Germany), and his native Belgrade (Serbia). An active recording artist, he has over a dozen recordings to his credit, including a critically acclaimed CD of Purcell's opera "Dido & Aeneas" with Evelyn Tubb and Thomas Meglioranza in the titles roles. He also recorded a premiere album of orchestral works by Greek-American composer Andreas Makris. As a regular presenter of master classes, he regularly teaches at the Belgrade Baroque Academy. A recipient of numerous awards and scholarships, he is a member of the Phi Beta Delta Honor Society for International Scholars and Mu Phi Epsilon International Music Fraternity. Gosta is also the President of the international early music society Early Music Network, the President of the Makris Foundation and the Makris Music Society in Washington DC (promoting the music and legacy of Greek-American composer Andreas Makris, and nurturing young talented musicians). Evelyn Tubb, soprano, has been hailed by critics as “one of the few truly outstanding sopranos of her generation”, and has attracted world-wide admiration for innovative and adventurous performances which breathe life and character into both familiar and forgotten songs. After spending her formative years on the Isle of Wight, Evelyn studied at the Guildhall School of Music in London. A background in dance as well as singing, plus eclectic musical tastes, has given rise to her own expressive style, which is equally at home in jazz as in medieval music. As a member of the Consort of Musicke, and in her duo partnerships with Michael Fields and Anthony Rooley, Evelyn has made dozens of recordings and given concerts and broadcasts in the USA, Japan, Australia, Israel and East & West Europe. Evelyn has a great love for music mixed with drama, and has performed works ranging from medieval music-drama, through baroque opera, to modern music-theatre pieces by Peter Maxwell-Davies and David Bedford. 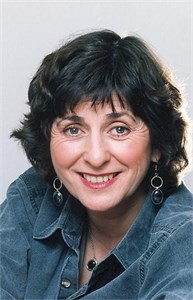 As well as having a busy calendar of international concerts and recitals, Evelyn has often appeared in programmes for English, Dutch, Swiss and Italian television. Her inspiring teaching is widely recognised, and she is much in demand for courses world-wide, as well as being Professor of Singing at the Scola Cantorum Basiliensis in Basel, Switzerland. When not flying around the world, she is passionate about creative cooking. Christian Hilz is internationally renowned as a versatile performer in the fields of classical song and opera. He regularly appears in the principal musical venues of Europe and America, such as the Vienna Musikverein, the Salzburger Pfingstfestspielen, the Lucerne Festival, the Concertgebouw Amsterdam, the Würzburger Mozartfest, the London Proms in the Royal Albert Hall, the Boston Early Music Festival, the Kunstfest Weimar, the Prague Spring, the Schleswig-Holstein Festival, in the Auditorio Nacional de la Musica in Madrid, at Ansbacher Bachwochen, the Ludwigsburger Schlossfestspielen and the Ruhrtriennale. Hilz is equally sought after in baroque, classical and contemporary repertoire and works regularly with directors such as Andrew Parrott, Martin Haselböck, Nicolas McGegan, Joshua Rifkin, Ton Koopman, Ivor Bolton, Morten Schuldt Jensen, Krzysztof Penderecki, Helmuth Froschauer and Juan Pons and with orchestras such as the Munich Philharmonic, Kölner Rundfunkorchester, London Mozart Players, Mozarteum Orchester Salzburg, Camerata Salzburg, Tonhalle Orchester Zürich, Orquesta Nacional de Espana, New York Bach Ensemble, Ensemble Tafelmusik Toronto, Wiener Akademie, Norwegian Baroque Orchestra and Stavanger Symphony. Alongside classical roles his opera repertoire encompasses a variety of parts in baroque and contemporary opera. Next to a variety of about 25 baritone roles from the Baroque and Classical eras including several Handel operas, Mozart´s Papageno, Conte, Figaro, Leporello and Allazim (Zaide), works by Hasse, Conti, Salieri, Paisiello, Gassmann and others, Hilz's operatic repertoire comprises parts from works by Britten, Berg, Menotti and Penderecki, which allow him to demonstrate the full scope of his interpretative talent. He among others maintained them in productions in Vienna, Amsterdam, Madrid, Los Angeles and Potsdam. Lied-recitals and chamber music with a variety of partners like Katia Bouscarrut, Eckart Sellheim, Dorian Keilhack, Jeremy Joseph and Tatiana Korsunskaya are an important part of his work. His recordings include works by Bach, Händel, Telemann, Homilius, Mattheson, Meder, Mozart, Beethoven, Schubert, Schumann, Lortzing, Walter, Klemmstein, Sterk and Kleiberg. CDs with Schumann-Lieder, Telemann Lukas-Passion, a Bach Solo CD and the complete vocal works of Nikolaus Bruhns were released recently. Christian Hilz received the award of Bavarian culture and the cultural award of his hometown Erlangen. He teaches voice as a professor at the Hochschule der Künste in Bern. 2015 he was announced as artistc director of the Austria Baroque Academy. Florian Deuter, baroque violin, has had a remarkable career in the field of Historical Performance Practice. Since Reinhard Goebel invited him in 1986 to join Musica Antiqua Köln, he has propelled himself into positions of leadership by means of his formidable talent and unquenchable energy. By 1994, he was concertmaster of Goebel’s ensemble; since then, he has led the Gabrieli Consort, the Chapelle Royale, the Collegium Vocale Gent, the Amsterdam Baroque Orchestra, Les Musiciens du Louvre and Concerto Köln among other ensembles. In 2003, in Cologne he founded the ensemble Harmonie Universelle to explore the rich and diverse literature of seventeenth and eighteenth-century chamber music. He plays on a violin by Matthieu Besseling, Amsterdam. Born in Kiev, Ilia Korol (Violin) studied violin at the Music Academy Moscow with Abraham Stern and Marina Iashvili. Since 1997 he lives in Austria, where he was rewarded 2001 with the Austrian citizenship due to his musical merits. He appeared with Musica Antiqua Cologne, and performs as concertmaster of Joshua Rifkin?s Bach Ensembles, with the Spanish Baroque Orchestra RCOC, with the Vienna Academy of Music and furthermore, he is a member of the Ensembles Ars Antiqua Austria and the Clemencic Consorts. He recorded several CDs and performed as a member in renown ensembles at the most important festivals in Europe, Asia, and the United States. In 2003 Ilia Korol founded together with Julia Moretti the chamber orchestra moderntimes, that was one of the opening orchestras of the Vienna Festival in 2004, that gave a guest performance at the Ruhr Triennale in 2005, and that was invited to the Salzburg Festival in 2006. Katarina holds a Master of Arts in baroque violin from the Royal Academy of Music in London where she studied with Simon Standage and a Master of Music from the Academy of Music in Belgrade where she studied violin with Vesna Stankovic. Since 2011 Katarina has been performing as part of the Royal Academy of Music Kohn Foundation Bach Cantata Series and since 2013 as a member of Cambridge University Collegium Musicum. She participates regularly in the English Haydn Festival in Bridgnorth and Brecon Baroque Festival in Wales. Her other performances include chamber music on period instruments at the Wallace Collection, leading the Royal College of Music Baroque Orchestra for performances at the National Portrait Gallery, playing as part of Florilegium for Bach’s St Matthew Passion at the Royal Festival Hall, leading the Royal Academy of Music Baroque Orchestra for Bach Unwrapped at Kings Place, Italian baroque music at the Wigmore Hall with Rachel Podger and In Tune BBC Radio 3 live broadcast of Bach’s Coffee Cantata. Besides being an active concert violinist, Katarina is pursuing a career in early music education. 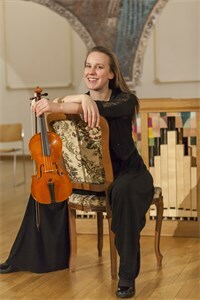 In 2013 & 2014 she has been awarded Graduate Entrepreneur sponsorship from the Royal Academy of Music for her Breakthrough Baroque educational project breakthroughbaroque.com. Currently, Katarina is the concertmaster of an early music ensemble New Trinity Baroque and the faculty of the Belgrade Baroque Academy. After graduating with the highest marks from the Faculty of Music in Belgrade, an interest in historic keyboard instruments brought him to Italy, where he obtained a diploma in fortepiano at the Accademia “Incontri col Maestro” in Imola under the guidance of Stefano Fiuzzi. Winner of the International Music Tournament in Paris and of the international harpsichord competition “Wanda Landowska” (Italy), he was also awarded a prize for the best interpretation of Italian music by the jury of the “Gianni Gambi” competition in Pesaro. As a soloist and chamber musician, he has performed in Serbia (Belgrade, Kragujevac, Novi Sad), Italy (Milan, Bologna, Florence…), France, Hungary, and Slovenia. He is a member of "Arbor Dianae", an ensemble that performs XVIII century music on authentic instruments, as well as the ensemble "New Trinity Baroque". Due to his longstanding interest in vocal music, he has worked extensively as a piano accompanist and currently holds a place at the singing department of the Faculty of Arts in Kragujevac. Dušan Toroman is in the team of the Young Artists of the Accademia Europea Villa Bossi in Bodio Lomnago – Varese, Italy. Bojana Dimkovic, rodena u Beogradu, vodi raznovrsnu karijeru kao pijanistkinja i cembalistkinja. Klavir upisuje u sedmoj godini u muzickoj školi Dr Vojislav Vuckovic i ubrzo stice uspehe na brojnim republickim i medunarodnim takmicenjima od kojih se izdvajaju prve nagrade na takmicenjima Konjovic, Nikolaj Rubinštajn i u Strezi. Sa šesnaest godina dobila je stipendiju za ulazak u Persl-prestižnu školu za muzicke talente u Engleskoj, a školovanje nastavlja na londonskoj muzickoj akademiji Gildhol gde završava osnovne i dvostruke master studije (solo klavir, kamerna muzika i istorijsko izvodenje). 2008. godine je izabrana kao Fellow svoje generacije i na istoimenoj akademiji radi dve naredne godine. Pocetni kontakt sa istorijskim instrumentima tokom osnovnih studija probudili su interes za dalje usavršavanje u ovom pravcu. Postdiplomske studije upisuje kod Džejms Džonstona i Karole Cerasi iz baso kontinua i solistickog izvodenja. Nakon uspeha na Brodvud takmicenju za cembaliste 2009. godine postaje clan više ansambala koji izvode ranu i baroknu muziku. The Nightingale Trio (sopran, flauta, cembalo) održava koncerte širom Engleske i Irske. The Early Music Experiment se utvrduje kao vodeci ansambl u programiranju barokne sa modernom muzikom. Ove godine Bojana je, kao solista ansambla, izvela koncert Karla Filipa Emanuela Baha u Londonu. The Musicians of London of London se specijalizuje iskljucivo za baroknu muziku i njihovi nastupi ukljucuju pojavljivanja na Brajtonskom festivalu za ranu muziku, Hendl festivalu kao i na koncertima širom Engleske. Od 2009. godine saraduje na više projekata sa Gudacima Svetog Ðorda kao kontinuo cembalista, a u decembru 2010. godine i kao solista uz Gordana Nikolica i Džuliju Galjego (Peti Brandenburški koncert). Kao prethodni nosilac prestižne Henri Ricardson nagrade za korepeticiju i finalista na svetskom takmicenju pevaca Ketlin Ferier, Bojana je aktivna u sferi kamerne muzike i saraduje sa mnogim cenjenim instrumentalista i pevacima: Sandrom Belic, Ljubišom Jovanovicem, Marijom Špengler, Andri Vitovicem, Derek Veltonom… Clanica je Trija Agape za flautu, celo, i klavir. Trenutno je na drugoj godini doktorskih studija na katedri za kamernu muziku na Fakultetu muzicke umetnosti u Beogradu u klasi prof. Zorice Cetkovic. Koncertni angažmani ukljucuju izvodenja u Srbiji, Italiji, Irskoj i Engleskoj i to u Vigmor Holu, Bakingemeskoj palati, Rojal Festival Holu, Sent Martin in d Fildsu, Sent Džons Smit Skveru, kao i oni u salama Kolarceve Zadužbine, Beogradske Filharmonije, Skupštine Grada, Galerije SANU... Pojavljuje se na Celtenamskom, Siti of London, Celo Festu, NOMUS-u, BEMUS-u, Oksford Lider, Hendl i drugim festivalima. Za više informacija posetite www.bojanadimkovic.com. 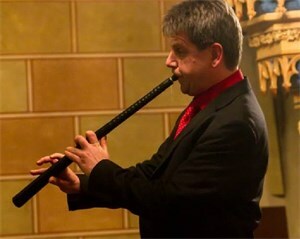 Jeremy West is an evangelist for the cornett, the often-overlooked wind instrument which was held in the highest possible regard during the 16th and 17th centuries. He continues to play a lead role in re-establishing this instrument as a recognised and accepted virtuoso and ensemble instrument and now has thirty-five years of top class playing and recording experience with many of Europe's leading renaissance and early baroque ensembles. Jeremy has on several occasions been acclaimed a “pioneer” of his instrument. 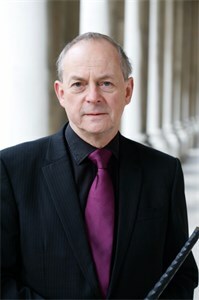 He is a founder member of His Majesty's Sagbutts & Cornetts – the leading ensemble of its kind – and is Principal Wind Player with the Gabrieli Consort and Players for their earlier repertoire. He has more than 60 recordings to his credit. In addition to a playing career which has taken him to more than 30 countries, since 1991 Jeremy has directed the instrument-making workshops of the late Christopher Monk. The workshops are devoted to the research, development, reproduction and worldwide distribution of all instruments in the cornett and serpent families. Examples of the workshop’s output, and in particular the extraordinarily popular resin cornett – an instrument which has inspired and enabled the majority of today’s players – may be found from New York to New Zealand, Scandinavia to South America. In 1995 Jeremy wrote How to play the Cornett with Susan J. Smith (University of Cambridge). This is the first comprehensive tutor, written in modern times, for cornett players of all levels and it has sold more than 1000 copies worldwide. Jeremy West is a professor at the Guildhall School London, and Musician in Residence at Girton College, University of Cambridge. In his spare time, he plays for the City of Cambridge Brass Band and Stanhope Silver Band (Eb Horn - another overlooked brass instrument about which he is passionate), amidst spells of skiing and tractor driving. He lives with his partner, Susan Smith, between Cambridge and Weardale, County Durham. Siegfried J. Koch studied at the J. Haydn Conservatory in Eisenstadt with Reinhold Ambros (Vienna Philharmonic) and at the University of Music and Performing Arts Graz with Prof. Stanko Arnold. 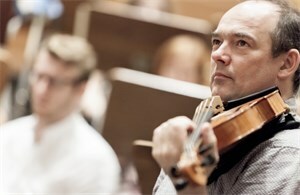 Koch is a member of Haydn Akademie Wien, Wiener Akademie, Ensemble Zeitfluss and Catkanei – Studio Alte Musik Graz. He is a past member of the Gustav Mahler Youth Orchestra and Camerata Salzburg and has also performed with the Vienna Philharmonic, Orchester der Nationen, the Chamber Orchestra of Europe, the ensemble Le Concert de Francais and the St. Petersburg Philharmonic. He is a co-founder of the period ensemble Barockorchester J.J.Fux Wien, and has become known as a specialist for the baroque trumpet and the cornetto. CDs made together with Wiener Akademie, the Vienna Boys’ Choir and Lauda Musica (Madrid), as well as several solo recordings, round out his musical activities. 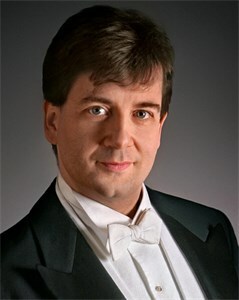 Siegfried Koch currently teaches at the music school in Hartberg and at the University of Music and Performing Arts in Graz. Michael Fields began his musical journey playing folk, rock and jazz in California. Michael then turned his attention to classical guitar and piano and spent two years at the Melba Conservatorium in Melbourne, Australia. A growing interest in “early” music led him to England in 1974 where he continued his studies at the Guildhall School of Music and Drama, studying classical guitar with Hector Quine and lute with Anthony Rooley, Nigel North, Jakob Lindberg in England, and with Hopkinson Smith in Basel. He received the AGSM and LRAM diplomas in 1977. Michael combines his experience in music with a considerable knowledge of history, art, theatre and philosophy in a varied career – performing, directing, teaching and record-producing - which has taken him around the world several times. 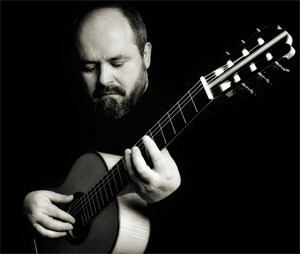 As a soloist, Michael has given recitals in the USA, Australia and England, and performed the Vivaldi Lute Concerto on lute, classical guitar and baroque guitar. He is a member of the US-based baroque ensemble, New Trinity Baroque. In 2001, he performed Rodrigo’s Concerto de Aranjuez with the Camden Chamber Orchestra in London, to mark the composer’s centenary. 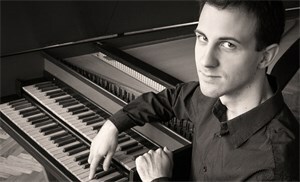 Darko Karajic completed his studies at the Zagreb Music Academy under professor István Roemer. He obtained his Masters and DMA degrees at the Faculty of Music in Belgrade under the mentorship of Vera Ogrizovic. His involvement with early music began with the ensemble Musica Antiqua in 1985, and continued with the ensemble Renaissance in 1991. Darko Karajic is the founder of the ensemble Anonimus, which focuses in the authentic performance of Western European Baroque music, and the ensemble Levant, which explores Byzantine and Medieval music. 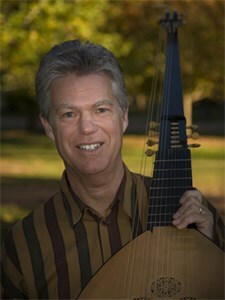 He also performs with early music ensembles Minstrel (Zagreb), New Trinity Baroque, Studio for Early Music, and others. He is on the faculty of the Belgrade Music Academy. Karolina Bäter playing the recorder and the transverse flute has established herself as a performer in both early and contemporary music. She studied with Walter van Hauwe and Barthold Kuijken at the conservatories of Amsterdam and The Hague in The Netherlands. Karolina Bäter won various prizes at music competitions as 'Deutscher Musikwettbewerb' in Bonn (Germany), the 'International Penderecki Competition' in Cracow (Poland) and was finalist during the 'International Gaudeamus Competition' in Rotterdam (The Netherlands). She is performing on international podiums and has played on various music festivals like Aqua Musica Amsterdam, Musica Polonica Nova, November Music, Making New Waves, Musica Antiqua Perast, Huddersfield Contemporary Music Festival, Aldebourgh Chambre Music Festival, Gaudeamus Week Amsterdam, Wien Modern, Klang K öln, März Musik Berlin, Musica Experimento, Incubate Festival, Piccolo Spoleto, Belgrade Early Music Festival, SIGF Sarajevo, Crna Kraljica Zagreb, Guitar Art Festival, Sugisfest Tallinn, Swiss Music Days and others. As a member of early music ensembles Anonimus, Renesans, Nymbus, Belgrade Baroque, Minstrel and the Baroque Orchestra of the Belgrade Early Music Festival and the New Belgrade Opera she is performing in Serbia, Croatia, Bosnia, Austria and Germany. Since 2011 Karolina Bäter is member of baroque ensembleand period instrument orchestra "New Trinity Baroque" in Atlanta (USA), directed by the harpsichordist and conductor Predrag Gosta . Karolina Bäter is founding member of contemporary music ensemble "The Roentgen Connection", specialized in contemporary music on historic instruments, was member of new music ensemble "MAE" in Amsterdam and from 2012 on she is playing with con temporary music collective "Studio 6" in Belgrade. In 2014 Karolina Bäter started performing with lute player Edin Karamazov and recorded their debut-CD which will be released in june 2017. Next to giving concerts Karolina Bäter is frequently invited for lectures and masterclasses for recorder and historic flutes for ZUOV and Belgrade Baroque Academy.